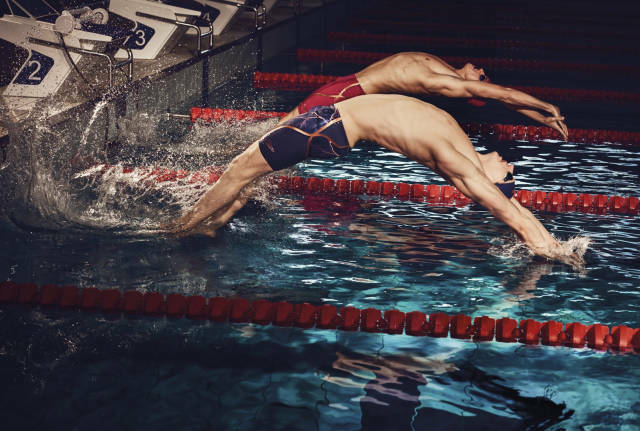 Thanks to the FINA World Aquatics Championships being held in Hungary in the summer of 2017, Progressive Productions got the opportunity to collaborate with a world-famous brand, the Australian Speedo, to shoot their 2018/2019 swimwear collection. 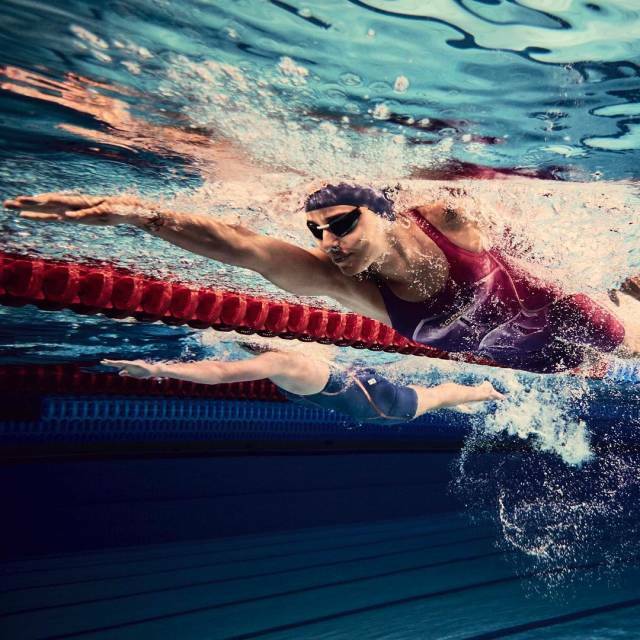 Near 2500 athletes took part in the 17th World Aquatics Championships, among 15 world and olympic champions of various nationalities whom Speedo sponsor, for example the five-time Olympic gold medalist Missy Franklin, as well as Nathan Adrian. Speedo asked the outstandingly successful swimmers they sponsor to be the models for their next collection’s shoot, and the Fina World Championship in Budapest was a great opportunity to do the shooting since most of their sponsored swimmers took part in this event. For the organization of the Budapest photo shoot, the London based The Production Factory got in contact with us. Speedo and the Pentland brand management company behind it, prepared a concept for the shoot featuring even the tiniest details. Speedo had already worked on previous projects with photographer David Clerihew, who is experienced in underwater photography, so the team on the shoot were a familiar and friendly group of professionals. Such a location was needed that could provide an indoor, olympic sized swimming pool, which had perfect water quality and depth, as well as being well equipped and had enough space for all the filming and other equipment. Thanks to the developments of the last few years, Budapest has become a real sportcity, there are also many high quality sports-courts, swimming pools and football stadiums in the entire country as well. 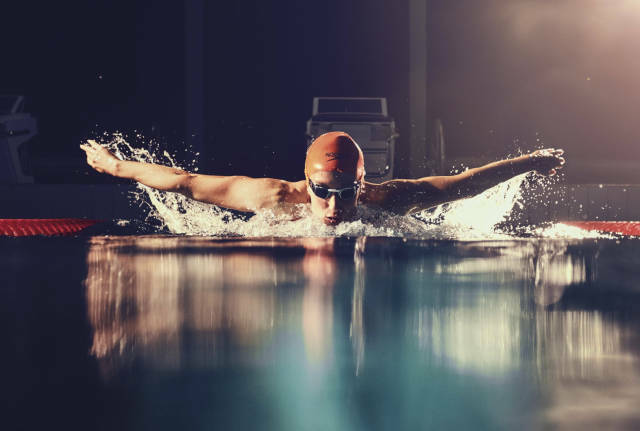 But Progressive's team did not have an easy task, since most of Budapest’s swimming pools were still being used for the World Championship’s competitions and preparational training. Luckily Budapest’s Tüskecsarnok Swimming Pool became free right after the end of the Fina World Championship, and proved to be an ideal location according to both production and location requirements. The two-day photoshoot took place entirely in the swimming pool complex, but that did not mean that our crew had a simple time. The shooting commenced on multiple locations within the building, with 15 athletes being photographed and interviewed at the same time, while behind the scenes footage was also being taken. Since the entire production consisted of various departments, we made the most of nearly all places within the swimming pool complex. By the competition pool David Clerihew took above and underwater photos of the swimmers. They shot photos of the olympians diving into the water in competitive swimwear as if in a competition situation, but they also took photos of them in ready to wear swimming costumes in more playful poses. Of course catalogue, photos couldn’t be missed out, which were taken next to the pool, as soon as they got out of the water, in front of a white screen. In another space we created photography studio conditions for the team responsible for the E-Commerce photoshoot. Also, in a swimming pool with adjustable water levels they filmed water aerobics, and next to that they were constantly doing interviews and making social media content. Progressive’s team has worked with countless celebrities and strived to meet all their expectations and requirements. The situation was same with Speedo’s star swimmers, who are truly world stars in the world of sport. Due to their limited availability, we had to have a very tight schedule during the photo shoot, so it was precisely planned when they had to arrive to each photography base, when they had to change outfits and when they had to be in the hair & make-up department. Between two bases they were able to rest in a well-equipped VIP room, where they could snack on fruit, healthy sandwiches and other snacks. It is always a joy for Progressive Productions to be able to provide many talented Hungarian professional colleges for a shoot. In this production as well, we collaborated with many experienced Hungarians, ranging from the lighting team to the entire beauty department, in order to ensure that everything is executed efficiently and professionally. With the underwater shoot, professional divers assisted the photographer and the videographer to submerge and communicate underwater. 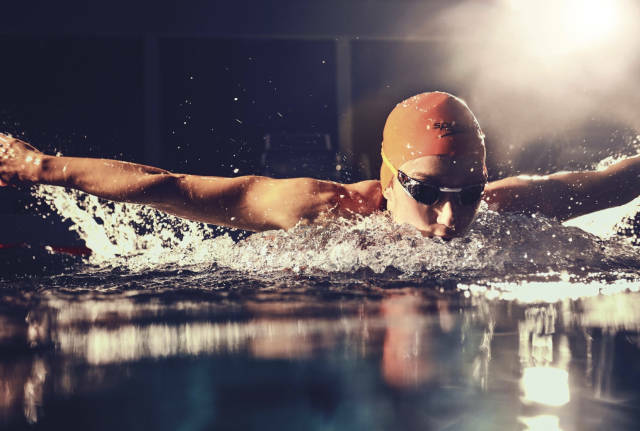 It was a true joy for us to take part in executing such a complex project with Speedo’s team, as well as working with such world famous athletes. We’re always on the look out for another exciting project to work on. We’d love to hear from you.